Few things trigger a wider range of emotions than the phrase “chicken and waffles.” Those who have had it (done correctly) tend to swear by it; those who haven’t tend to look baffled or otherwise nonplussed. 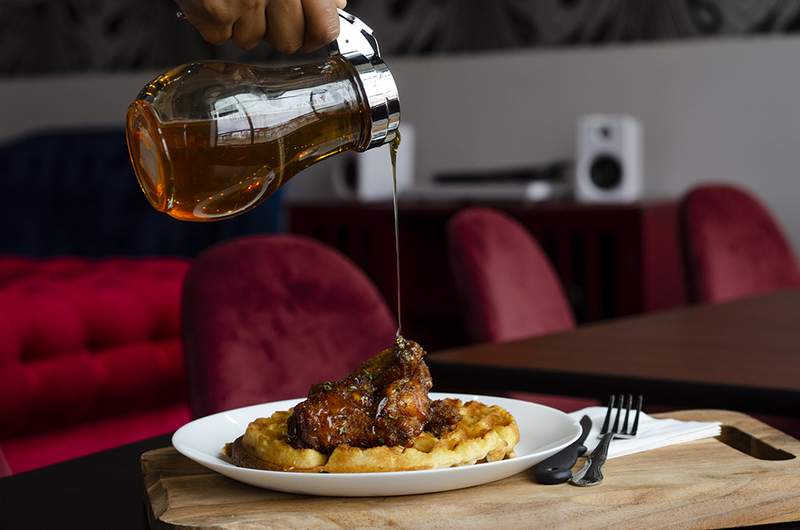 We’ve had some great chicken and waffles around the country (tops on the list: Brown Sugar Kitchen in Oakland, California) and so when it pops up locally, we can’t hold back. Thus: When we saw that the recently opened Heritage Tea House & Café on University Avenue in St. Paul was offering a Chicken and Waffle dish ($14), we dove on in. The Tea House itself is unlike any other business in town. Owned by Raeisha Williams, the restaurant is a combination art space, teahouse (with dozens of varieties on offer by cup and pot), and restaurant. 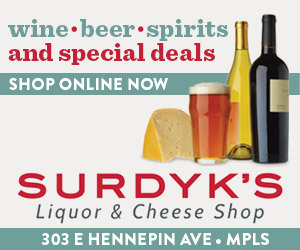 When we visited on a Wednesday afternoon, the room was filled with the sound of vintage jazz, and only the knowledge that we were going to be taking a chicken and waffle plunge stopped us from getting a slice of delectable-looking chocolate cake under the glass bell behind the counter. Chicken and waffles traditionally turns on contrasts and the Heritage version cranks up the flavors in order to accentuate the differences. In this case, the chicken isn’t fried in a crispy batter or breading, so it lacks some of the savory crunch that you may be expecting when you order this dish. 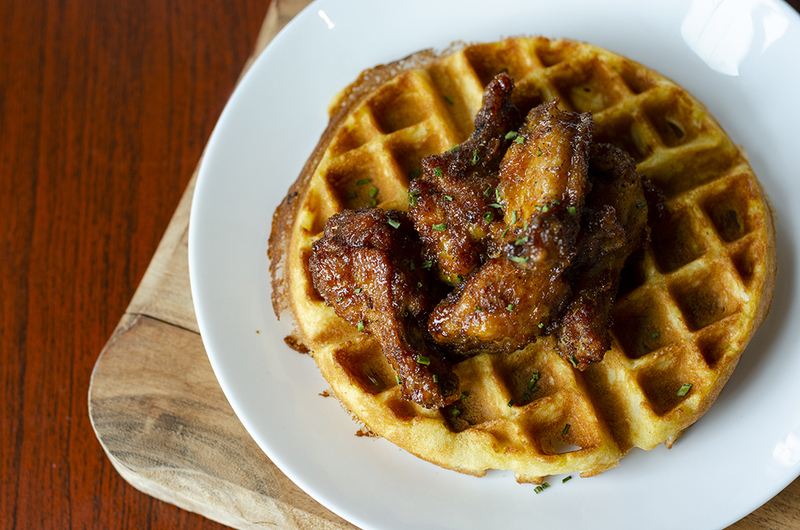 Fear not: the wings that ride atop Heritage’s chewy, flavorful waffle are intensely herbed and almost briny in their moist saltiness, which sets them at direct odds with the chocolate syrup positioned at the waffle’s edge (and, presumably, the breakfast syrup that you’ve poured on top of the dish). The delicately chewy chicken skin and toothsome waffle complement each other; the intense salt of the bird and intense sweet of the breakfast pastry are a great contrast. It all looks like a lot of food, but it goes down disconcertingly fast.